These sections are included, in order, in the following entries. We ship all of our books in custom cardboard containers and always ship for free in the Continental United States. All major credit cards are accepted, as well as PayPal. You may call 570-204-2906 or email wil@weatherhillfarm with questions or an order. The following titles are found in our selection of books covering The Lehigh and New England Railroad. As always, the purchase price includes all applicable taxes and free shipping anywhere in the Continental U.S. in our custom made shipping boxes. The Lehigh and New England Railroad: A Color Retrospect by Douglas Lilly. Only Yesterday on the Lehigh & New England Railroad: A Photographic Remembrance by Robert F. Fischer. Only Yesterday on the Lehigh & New England Railroad: A Photographic Remembrance by Robert F. Fischer.Hardbound, copyright 2004, 2008. “It seems like only yesterday when engines adorned with blazing, red center, circular heralds blasted out of Panther Creek Valley, crossed eastern Pennsylvania, the Lehigh River, and Delaware River to New Jersey hauling endless hopper car loads of black diamonds destined for Maybrook, NY, the railroad gateway to New England. The Coalfield, Slate Belt, and Cement Region are all photographically represented, as well as right-of-ways, stations, terminals, and branch lines along the L&NE’s entire east-west main line. Only Yesterday on the Lehigh & New England Railroad – A Photographic Remembrance is the most voluminous, most comprehensive, most meticulously researched photographic presentation revealing the L&NE ever offered. All aspects of the company are reviewed and illustrated, including corporate history, relationship to the Lehigh Coal & Navigation Company, development of the physical plant and rights-of-way, locomotives, passenger cars, revenue freight cars, and non revenue cars with emphasis on the 1947-1950 steam-diesel transition years…this is a no nonsense presentation that not only tells you, but also shows you!”. OUR PRICE: $65.00 (includes free shipping in the Continental U.S. and all applicable sales tax). The following titles are found in our selection of books covering The Lehigh Valley Railroad. As always, the purchase price includes all applicable taxes and free shipping anywhere in the Continental U.S. in our custom made shipping boxes. “This book chronicles the last twenty or so years of the Lehigh Valley Railroad. The author grew up along the Lehigh Valley mainline, and also worked for the railroad. The book, written from a railroader’s perspective, gives the reader an insight into and appreciation of what it was like to work for and operate trains over The Route of the Black Diamond. The author and his brothers became friends with and were adopted by many of the Lehigh Valley family. And because of this kinship, the reader will see many interesting views of railroaders at work that otherwise would not be possible. At many slide shows. the author had noted a lack of “people pictures”. Since people were and still are what makes the railroad run, he concentrated much of his photo selection to include the people of the Lehigh Valley Railroad. Many distinguished photographers have contributed their work to this album of the LVRR’s declining years through which, hopefully, the reader will acquire a better understanding of what the waning years of a once-great railroad were like. This book is not the typical run-of-the-mill color book about a railroad. It is a book on the history of the people who ran this colorful and scenic line as seen through the eyes of someone who loved it. The book is written as a tribute to the employees of the Lehigh Valley railroad. It was their spirit and will that kept the railroad operating as l;ing as it did. Not many railroads were blessed with such good people. -From the dust jacket of Lehigh Valley Railroad: The New York Division by Mike Bednar. Told in 152 pages, 290 color pictures, and 20 maps and other supporting materials. OUR PRICE: $52.50 (includes free shipping in the Continental U.S. and all applicable sales tax). Lehigh Valley Railroad: The Wyoming and Buffalo Divisions by Mike Bednar. Hardbound, copyright 2003. 144 pages with numerous color photographs throughout. “This book chronicles the last 20 years or so of the Lehigh Valley Railroad between the terminals at Lehighton PA and the Buffalo and Niagara Falls gateways. It is the companion book to Lehigh Valley Railroad: The New York Division published in 1993. Both books, written from a railroader’s perspective, give the reader an insight into and appreciate of what it was like to work for and operate trains over “The Route of the Black Diamond”. The author and his brothers became friends with and were “adopted” by many of the Lehigh Valley family. Through this kinship the reader will see many interesting views of the railroaders at work that may otherwise may not be possible. In addition to the Bednar boys, many distinguished photographers contributed to this tribute to the employees of the “Lehigh”. One thing the author discovered in compiling this chronicle on “the upper end” was that kinships like her experienced in the Catasaqua area existed over the entire railroad. The reader will see this come forth through the photos of employees on the west end. The Lehigh Valley was truly a unique line. -From the dust jacket of Lehigh Valley Railroad: The Wyoming and Buffalo Divisions by Mike Bednar. The following titles are found in our selection of books covering The Reading Railroad. As always, the purchase price includes all applicable taxes and free shipping anywhere in the Continental U.S. in our custom made shipping boxes. Reading Diesels Volume I by Dale W. Woodland. Hardbound, copyright 1991. Reading Diesels Volume II by Dale W. Woodland. Hardbound, copyright 1995. – From the dusjacket of Reading Diesels Volume II by Dale W. Woodland. The Reading Railroad: History of a Coal Age Empire Volume I: The Nineteenth Century by James Holton. Hardbound, copyright 1989. Massive, well-researched 356 page volume filled with all things Reading. “This book is about more than just one pioneer regional railroad. In telling the story of the Philadelphia & Reading Railroad – which found itself transformed from a modest local enterprise into the dominant carrier of anthracite just as that mineral became the essential fuel for the Industrial Revolution – the Reading history reflects the trials and triumphs that marked the young country’s phenomenal industrial growth in the middle years of the last century. The complex study of this relatively small railroad company that became one of the nation’s first conglomerates and the wealthiest corporation in the world will require two volumes. The books are divided, quite naturally, by the turn of this century. This first volume covers the painful beginning of the enterprise as the impoverished company wins dominance of the powerful Schuylkill Canal, through the years of spectacular expansion and the turbulent period of the 1870s when the company’s management was embroiled in successive bitter and sometimes bloody battles with the militant Molly Maguire movement, newborn labor unions, the great Pennsylvania Railroad and other anthracite railroads, English investors and stubborn coal mine operators. In the final decades of the century, the Reading suffered three disastrous failures, but escaped absorption by the great trunk lines largely because of the protection of the greatest financier of the time, J. Pierpont Morgan. There were other titans of that era who also were deeply involved in the Reading’s affairs, some as allies, others as would-be suitors, and some as enemies: Andrew Carnegie, William K. Vanderbilt, Jay Gould, George B. Roberts, John D. Rockefeller, John Wannamaker and Chauncy Depew. The Reading also produced its own cast of colorful corporate characters, especially Frank B. Gowen and A.A. McLeod, presidents who were responsible for some of the company’s most spectacular excesses, as well as notable achievements. The author – a product of a multi-generational Reading Railroad family – has drawn on a lifetime’s abiding interest in the “comp’ny”, as well as a half a century of experience as a nationally respected journalist to complete the first comprehensive history of the company. It is written in a vivid prose style that captures the drama and dynamics of the days when coal was king, and the Reading was its master. Throughout the book, the author pays particular attention to the men of the Reading- the brass hats as well as the hoggers and tallow pots – to give the story of the Reading a human dimension seldom found in railroad books. At the same time, the Reading’s superb motive power fleet, largely the product of its own shops in Reading, receives generous attention, befitting the acclaim its innovative ideas won in the railroad world. ~From the dusjacket of The Reading Railroad: History of a Coal Age Empire Volume I: The Nineteenth Century by James Holton. History of a Coal Age Empire Volume I: The Nineteenth Century and The Reading Railroad: History of a Coal Age Empire Volume II: The Twentieth Century. Please call us if you would like to purchase either Volume I or Volume II in this slipcover edition. PLEASE NOTE: The Reading Railroad: History of a Coal Age Empire Volume II: The Twentieth Century is no longer available in the standard hardbound with dustjacket. The Reading Railroad: History of a Coal Age Empire Volume II: The Twentieth Century by James Holton is still available in a very limited edition format that incorporates gilded lettering on a leather bound cover and binding, housed in a matching slipcase. Garrigues House published a total of 50 of these volumes, each signed and numbered by the author. We are down to approximately 3 copies each of this extremely limited edition of The Reading Railroad: History of a Coal Age Empire Volume II: The Nineteenth Century and The Reading Railroad: History of a Coal Age Empire Volume II: The Twentieth Century. Please call us if you would like to purchase either Volume I or Volume II in this slipcover edition. “The Reading, one of the pioneer rail carriers in the United States, won national distinction for its innovative development of steam power – including some of the most powerful freight engines and fastest passenger locomotives on American rails – before the end of the nineteenth century. It also suffered through some of the most turbulent and violent episodes of that era as it became the major fuel pipeline for the industrial revolution. Those first 75 years of the company’s existence have been colorfully reported in Volume 1 of the Reading Railroad history, along with the adventures and personal stories of the fascinating cast of characters who controlled or were attracted to the company because of its monopoly over anthracite coal. In Volume 2, the author picks up the story of the Reading as it entered the twentieth century under the attack from the newly born American labor movement as well as a hostile Federal government which led to a historic confrontation between the president of the company and the President of the United States. A running battle with its arch-rival, the Pennsylvania Railroad, and sweeping technological and social changes in the country, prompted a new Reading management, under the prodding of J. Pierpont Morgan, to fundamentally restructure its operations. After a long court battle, the government forced the dissolution of the company’s Coal & Iron subsidiary. No longer a national leader in creating new motive power technology, the Reading won the attention of the industry by its conservative equipment policies, especially the rebuilding of older locomotives into remarkably efficient modern power. Financially, the Reading remained solvent through the depression of the 1930s, even electrifying most of its extensive Philadelphia commuter lines. As in the First War, the Reading played a vital strategic role in supporting the World War II effort. But, even as tonnage and passenger miles rose from that crisis, the handwriting was on the wall and, like the rest of the railroad industry in the northeast, the post-war Reading was facing a battle for its very survival. The political machinations, misjudgments and ironies which attended that grueling struggle and the eventual collapse and restructuring of railroading throughout the region are related, in many aspects, for the first time. As in Volume 1, the author – the product of four generations of Reading railroaders – dwells on the human side of the Reading story, illuminating the ups and downs of the historic railroad through the experiences of the men who ran it, from the company board room as well as in the engine cabs and interlocking towers. ~ From the dust jacket of The Reading Railroad: History of a Coal Age Empire Volume II: The Twentieth Century by James Holton. OUR PRICE: $125.00 (includes free shipping in the Continental U.S. and all applicable sales tax). The following titles are found in our selection of books covering Pennsylvania history. As always, the purchase price includes all applicable taxes and free shipping anywhere in the Continental U.S. in our custom made shipping boxes. Copyright 1986. 280 pages of history and photographs devoted to a complete historical treatment of the North Branch Canal. Some fantastic early photographs are included in this fascinating account of the canal that served the Wyoming Valley of Pennsylvania. Available in a soft cover or hardcover format, these books are new old stock. OUR PRICE: (includes free shipping in the Continental U.S. and all applicable sales tax). Just Released! 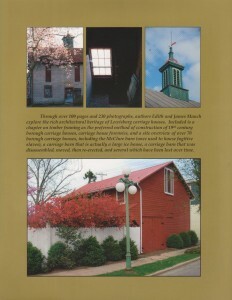 A Field Guide to the Carriage Barns and Houses of Lewisburg, by Edith and James Mauch. A new Edith & Her Dad venture to support local charities. A Field Guide to the Carriage Barns and Houses of Lewisburg examines the historic carriage barns and carriage houses of the borough of Lewisburg, Pennsylvania, employing over 100 pages and 230 photographs to do so. Included is a chapter on timber framing as the preferred method of construction of 19th century borough carriage houses, carriage house forensics, and a site overview of over 80 borough carriage houses, including the McClure barn (once used to house fugitive slaves), a carriage barn that is actually a large ice house, a carriage barn that was disassembled, moved, the re-erected, and several which have been lost over time. As with all Edith & Her Dad ventures, this field guide is being sold to support local charities. 100% of the proceeds of the sale of this book are divided equally among the Packwood House Museum, the William Cameron Engine Company, and the Eastern Union County Food Bank. Softcover, 103 pages, over 230 photographs. OUR PRICE: $16.95 (includes free shipping in the Continental U.S. and all applicable sales tax). Josiah White Quaker Entrepreneur by Norris Hansell. Hardbound, 172 pages, copyright 1992. OUR PRICE: $9.95 (includes free shipping in the Continental U.S. and all applicable sales tax). Memoirs of a Steelworker by David Kuchta. Softcover, copyright 1995, 117 pages of black and white photos and interesting reading. – From the rear cover of Memoirs of a Steelworker by David Kuchta. OUR PRICE: $12.95 SALE $10.00 (includes free shipping in the Continental U.S. and all applicable sales tax). Rails to Shafts: A Tribute to Paul Kuehner. Hardbound, copyright 2012. A tribute to Paul A. Kuehner, founder of Rails-N-Shafts and Garrigues House, Publishers. Recollections and personal remembrances by daughter Elizabeth and friends Bernie Perch, Mike Bednar, and Larry Fisher. A rapturous look at some of the best images from Paul’s extensive slide collection of his favorite subjects – railroads that ran through the Lehigh Valley and throughout the region, as well as the collieries and breakers of northeastern Pennsylvania. Profusely illustrated with numerous full color photographs taken by Paul c. 1950-1970. PLEASE NOTE: The Reading Railroad: History of a Coal Age Empire Volume I: The Nineteenth Century by James Holton is available in both this hardcover with dust jacket version and in a very limited edition format that incorporates gilded lettering on a leather bound cover and binding, housed in a matching slipcase. Garrigues House published a total of 50 of these volumes, each signed and numbered by the author. We are down to approximately 3 copies each of this extremely limited edition of The Reading Railroad: History of a Coal Age Empire Volume I: The Nineteenth Century and The Reading Railroad: History of a Coal Age Empire Volume II: The Twentieth Century. Please call us if you would like to purchase either Volume I or Volume II in this slipcover edition. Smokestacks and Black Diamonds: A History of Carbon County, Pennsylvania by Joan Campion. Copyright 1997. 300 pages of photos and exceptional historical documentation. It is hard to imagine a place more closely bound to the history of the Industrial Revolution than Carbon County, Pennsylvania. Indeed, it might be said to be the crucible of the American Industrial Revolution. For nowhere was better anthracite found than here. The first Fossil fuel to be heavily exploited, anthracite became essential to the nation’s economy. It fueled iron furnaces and provided the impetus for railroad networks. It heated houses, powered industries, and fueled steamships. The cheap iron that was produced in hitherto unimaginable quantities with this plentiful fuel hurtled American into the Industrial Revolution. Demographics changed as immigrants poured into the nation and as families moved from farms to towns and new, different kinds of jobs. A cash economy developed. Agriculture and home life changed as new implements were invented. The stamp of destiny was on Carbon County from the moment Philip Ginder, a miller from the Mahoning Valley discovered anthracite on Sharp Mountain in 1791. Smokestacks and Black Diamonds tells some of the best-known and some of the lease-known stories of the time when Carbon County was one of the most important regions in America. Joan Campion and contributing authors Vince Hydro, Michael Knies, Lance Metz and Rita Plotnicki have traced the history of the county from it’s frontier days to the present. George Harvan, the preeminent photographer of Pennsylvania’s anthracite region, has contributed a chapter of his most memorable work. Stories of miners and immigrants, the Molly Maguires, the company towns of Mauch Chunk and Palmerton, Glen Onoko in “The Switzerland of America,” letters home from soldiers in nineteenth-century wars, the rivalry between Mauch Chunk and Lehighton to become the county seat- these are but a few of the topics presented in this fascinating book. Numerous photographs enhance the text. 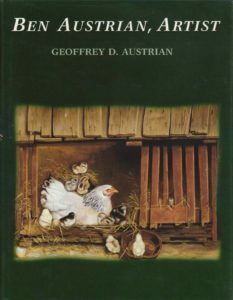 OUR PRICE: Softcover: $29.50 SALE $20.00 (includes free shipping in the Continental U.S. and all applicable sales tax). Without Fitting, Filing or Chipping An Illustrated History of the Phoenix Bridge Company by Thomas R. Winpenny. Softbound (also available in a very limited edition maroon cloth hardbound), 154 pages, profusely illustrated in b/w, appendices, notes, and an index. 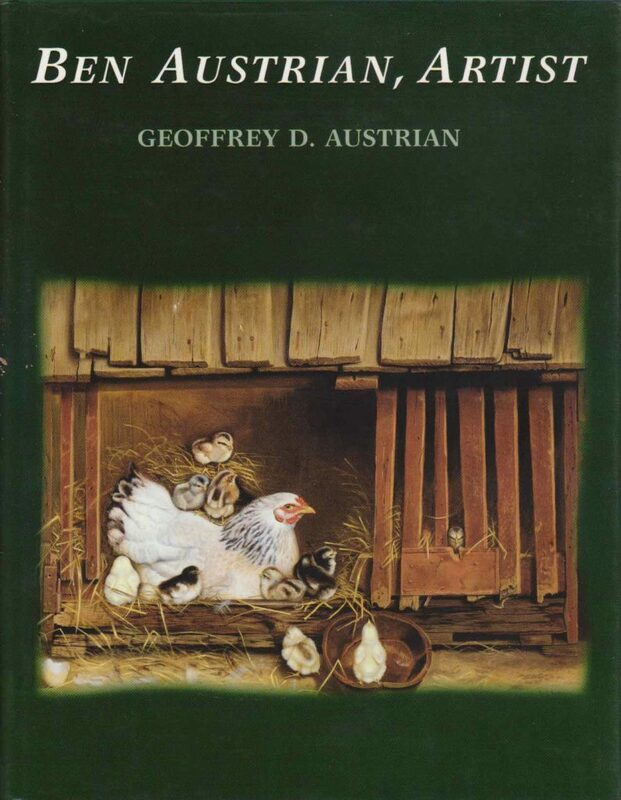 OUR PRICE: Softcover: $19.00 (includes free shipping in the Continental U.S. and all applicable sales tax). The following titles are found in our selection of books covering railroads in other parts of the United States. As always, the purchase price includes all applicable taxes and free shipping anywhere in the Continental U.S. in our custom made shipping boxes. The following titles are found in our selection of books covering other railroads and railroading topics in Pennsylvania. As always, the purchase price includes all applicable taxes and free shipping anywhere in the Continental U.S. in our custom made shipping boxes. Rails to Shafts: A Tribute to Paul Kuehner. Hardbound, copyright 2012. A tribute to Paul A. Kuehner, founder of Rails-N-Shafts and Garrigues House, Publishers. Recollections and personal remembrances by daughter Elizabeth and friends Bernie Perch, Mike Bednar, and Larry Fisher. A rapturous look at some of the best images from Paul’s extensive slide collection of his favorite subjects – railroads that ran through the Lehigh Valley and throughout the region, as well as the collieries and breakers of northeastern Pennsylvania. Profusely illustrated with numerous full color photographs taken by Paul c. 1950-1970. The following titles cover many of the aspects of mining and moving coal in Pennsylvania. As always, the purchase price includes all applicable taxes and free shipping anywhere in the Continental U.S. in our custom made shipping boxes. Anthracite Rebirth: Story of the Reading and Northern Railroad by Mike Bednar. Hardbound, copyright 1998. 124 pages, many, many color photographs and great writing by this former Reading and Northern locomotive engineer provide an incredibly unique perspective on this fascinating railroad. Chronicles the dramatic turn around of the company and it’s services throughout Pennsylvania’s hard coal region. Chapters include Background, Andy Muller, Jr. and the Early Years, Early Blue Mountain and Reading, The Reading Cluster: The Coal Regions, The Winter from Hell: Winter 1993-1994, The Business Boom, A Regional Rail Line Becomes Reality, The Future, The Family, and Locomotive Roster. Buckets, Flanges and Black Diamonds: Mining and Moving Coal in Pennsylvania by George J. Baumes. Hardbound, copyright 2009. 128 pages. The Death of A Great Company by W. Julian Parton. Soft cover, Copyright 1986, 123 pages of black and white photos, maps, consolidated balance sheets and lots of information. “The Old Company” as it was known to the coal industry, one of the oldest companies in the United States whose founders were among the most significant contributors to the development of America, ceased to exist. Why after 150 years of growth? What went awry that caused this company to be put to rest? This is the story of Old Company’s Lehigh, the founding years and growth of the company. However, special emphasis is placed on the final active years when one thing after another went wrong, leading to the liquidation of virtually all its assets and the untimely death of a great company. The following titles detail the lives and works of two very talented American artists. As always, the purchase price includes all applicable taxes and free shipping anywhere in the Continental U.S. in our custom made shipping boxes. Aware: A Retrospective of the Life and Work of Eric Sloane, recognized by critics as the definitive Eric Sloane biography published in 2001 by Garrigues House, Publishers. Authored by James W. Mauch, noted authority of the works of Eric Sloane and owner of Weather Hill Farm, the gallery that specializes in works by the artist. “Nearly everyone who has an interest in early America knows of Eric Sloane’s work. Although best known for his depictions of barns and covered bridges, Eric Sloane was also a successful author, illustrator, anthropologist, meteorologist, and historian. A man of tremendous and varied talents, Sloane evolved from an itinerant sign painter to an accomplished artist elected to the National Academy of Arts.Born Everard Jean Hinrichs in 1905, Eric Sloane led a full and intriguing life. He created everything from “cloudscapes” while flying with Wiley Post (Amelia Earhart bought his first one) to over three dozen books on the subject of early America. Eric Sloane is undoubtedly one of the most interesting of twentieth century American painters. Sure to delight anyone interested in Eric Sloane’s work, “Aware” is an engaging read, generously supplemented with the artist’s paintings, illustrations, and rare family photographs. Two appendicies are included, one on the subject of collecting first editions of Sloane titles, the other on authenticating, collecting, and restoring Eric Sloane paintings. To complete this literary work, the author has included and original, never published Sloane manuscript. Author James Mauch examines each stage of the artist’s career and life, illustrating how one of Sloane’s areas of interest would be a catalyst for the next, a life-long evolutionary process which culminated in a deep exploration of what the artist described as his “philosophy of awareness“. Appendix by John Townsend of Town’s End Books on collecting 1st edition books by Eric Sloane. Written by James Mauch, owner of Weather Hill Farm, a gallery that specializes only in art by Eric Sloane – Weather Hill Farm purchases, sells, authenticates, frames, and restores Eric Sloane original drawings and paintings.